The school hosted an excellent talk by speaker and author of the book - Follow the Child - Rob Keys. Rob presented the central ideas behind the Montessori system and the pedagogy that underlies the school. opening of some public Montessori schools. These new schools have also enabled setting up of longer term studies on the effectiveness of Montessori methods. One of the key components of the Montessori system is the “prepared environment” of the classroom. 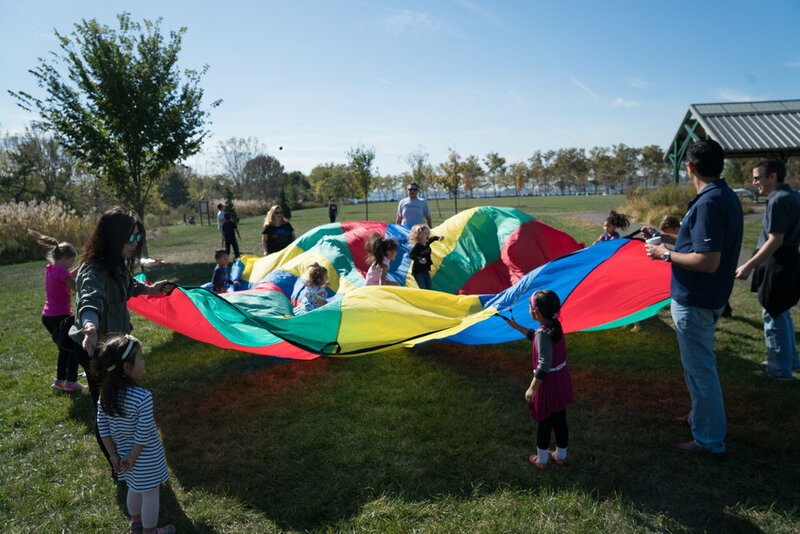 This prepared environment has three main parts - the materials, the adults (or better known as the teachers) and the other children in the space. All three parts work together to enhance a child’s education. Physically the classroom is arranged to be conducive to the children’s independent, self-directed work. The materials are designed to meet the learning needs of the children in the relevant age group and are placed in the environment in a logical manner. The teachers are keen observers of the children and actively support the classroom culture of challenging work, movement and independent work. By working with each other children in the space learn from each other. The classroom is designed to support the need of children to move by requiring them to go to a shelf, pick up the material, bring it to a table or floor mat. Once they have completed the work, they are required to put the material back on the shelf. This physical interaction with the material makes things very concrete for the children and fosters their learning. Rob demonstrated how some of the materials like the knob cylinders help toddlers learn to hold things and lets them understand concepts like bigger and smaller, by comparing cylinders of different sizes. The materials are also self correcting, which means that there is only one right way to put the materials together and so if a child makes a mistake, they can see it themselves without a teacher explaining to them that they have made a mistake. 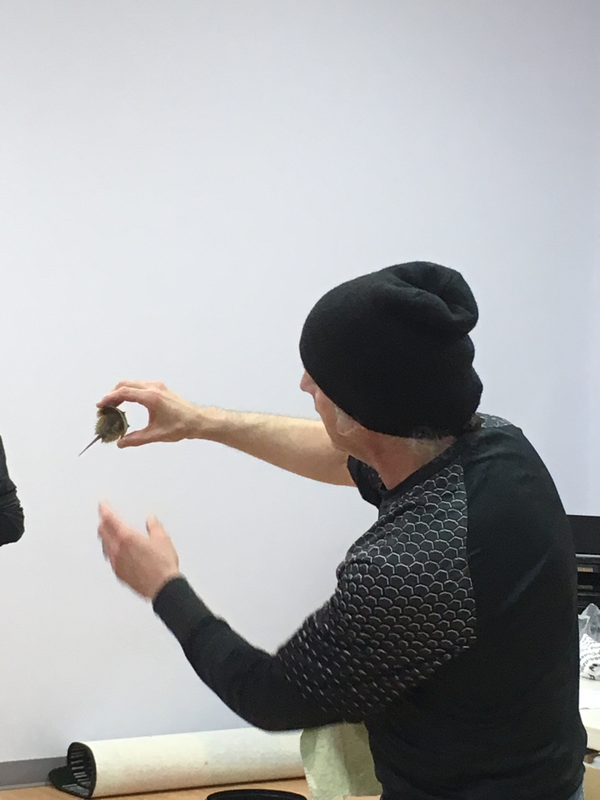 Initially the materials give children a feel for the concrete and slowly move to the abstract as the child gains understanding of the underlying concepts. 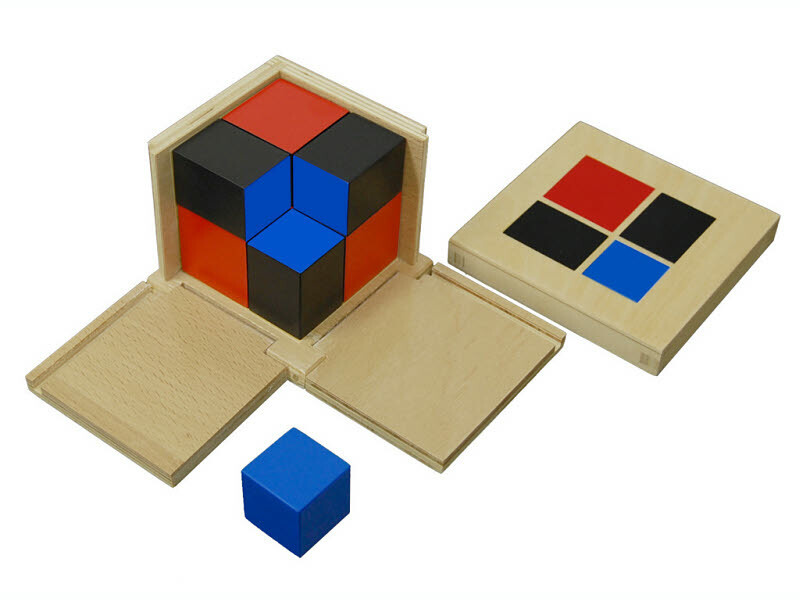 A very concrete example that Rob demonstrated used the Binomial Cube. through their work and helps with their concentration on the work itself. This concept of choice was also closely related to interest and the goal of a Montessori classroom is to get children interested in various topics which in turn would get the kids to focus on their work more. classroom with the same teachers, the teachers get to understand what motivates each child and tailor the instruction and classroom to meet each child where they are. The final concept Rob introduced was the concept of a Cosmic curriculum. 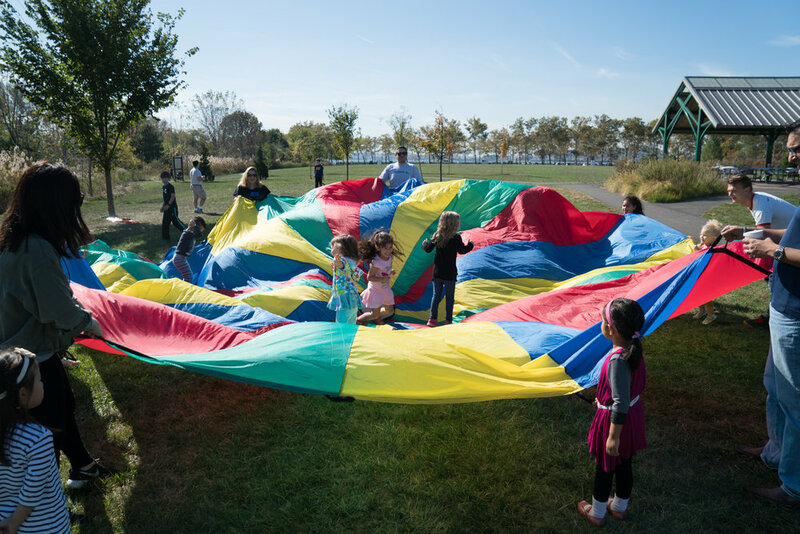 Instruction and lessons relate each concept to the wider whole so that children get to have a sense of the bigger world and their place in it. For example, when the concept of triangles are introduced in a class, related concepts in language would be how triangle is a noun or a name of a shape, examples of triangles in the real world, how one can divide up a triangle and how can triangles be combined to form squares or rectangles. The various concepts Rob introduced to the parents were very informative and gave us a new appreciation of the Montessori classroom. My biggest takeaway was to start researching the Montessori way to better understand what our children are experiencing in the classroom. This blog written by our WSF-PR Wire Reporter Manu T., a T1 and P3 parent. Valentine’s Day 2018 started off with a sweet treat for our school community! 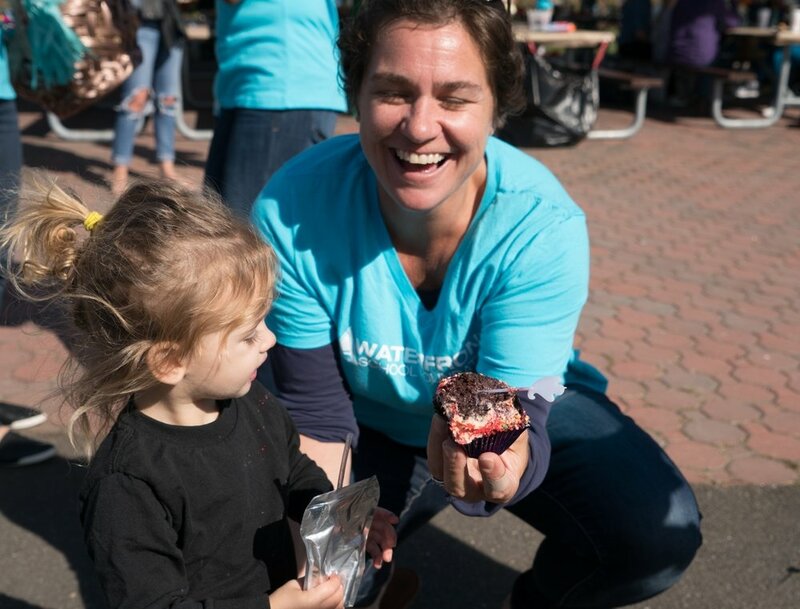 We had a blast passing out nearly 300 homemade, heart shaped, pink frosted cookies to WFM families, staff, and teachers! We had hoped to put some smiles on kids faces and celebrate this fun holiday! Although, we think, some of our youngest volunteers may have had the best time of all, acting as cookie messengers to their school friends! There were some heart melting hugs between friends that left a smile on OUR faces for the rest of the day! Oh Valentine’s Day, why do you come but once a year? We also hope that parents have had an opportunity to read the accompanying flyers that highlighted our upcoming initiatives “EAT. READ. SHOP.”. Please help us raise funds for this year’s Middle School Field Trip and expand WFM’s library and fulfill teacher’s wish lists. Plus, you get to EAT READ and SHOP, what could be better? 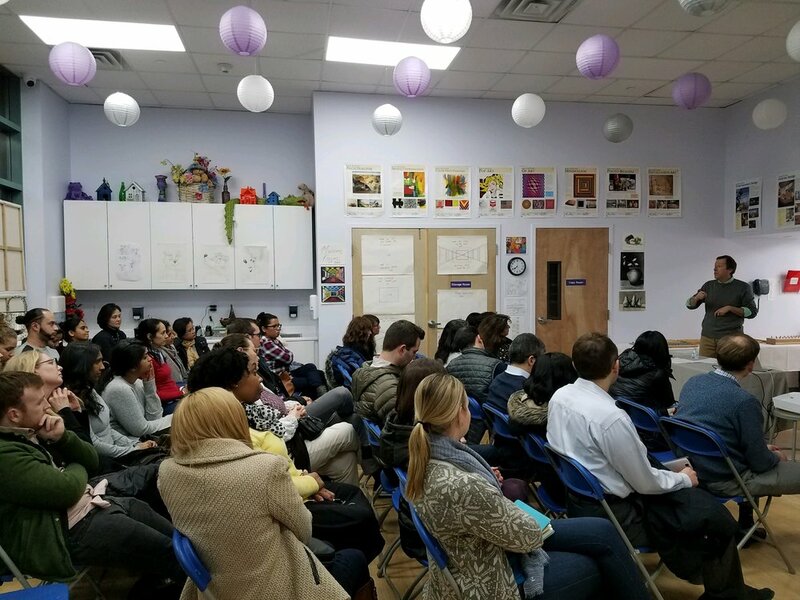 WFM Parent coffee led by Ms. Karen on February 20, 2018 focused on the correlation between student age and performance. The coffee started off by defining a few key terms for the discussion such as Relative Age, the difference in chronological age among children born in the same grouping, and the Relative Age Effect, the observable effect resulting from a relationship between chronological age and an eligibility cut off date used for cohort selection. The talk focused on examining how relative age of a child corresponds their performance when compared to others in the same cohort. We reviewed live birth distribution data in the US and in the Europe and found them to be uniform across all the months. Thus, it was surprising to see that distribution of youth qualifying for EU Elite Youth Soccer teams was skewed towards players born in the earlier months of the year when the cutoff date of January 1 was used. Similar pattern can be observed in the players for other sports such as FIFA world cup players, professional hockey players, and even junior sports team. It was evidenced that players who were on the older end of the cohort tend to mature faster, be bigger in size, and have access to better training. Thus, the younger players tended to have the falloff effect. Similar differences can be easily seen in schools as they tend to have a date cutoff of August 1 or September 1. Noticeable differences can be observed in how the kids progress compared to their peers in areas such as Kindergarten math, reading, etc. The effect does tend to level off around 5th grade but still exists to a smaller degree. Often impact of this can be observed in university graduations. How does this impact the younger kids? Without accounting for the relative age bias, younger kids are more likely to be held back and way more likely to be diagnosed with a learning disability. Older children tend to show task persistence and are less hyperactive. As a result, the older aged children have reduced diagnosis of ADD, etc. The younger children have lower adaptability and greater irritability and likely to be diagnosed with a learning disability. What is the solution? There is no real solution. Delaying the child by a year, varying the start dates, etc. do not address the issue. Bias can still be observed. The important thing is for parents and teachers to both be aware of this phenomenon and take it into account when evaluating children. The younger child just needs patience and they will perform at the same level as their peers. Adults just need to be patient and nurturing to ensure their continued love of learning. 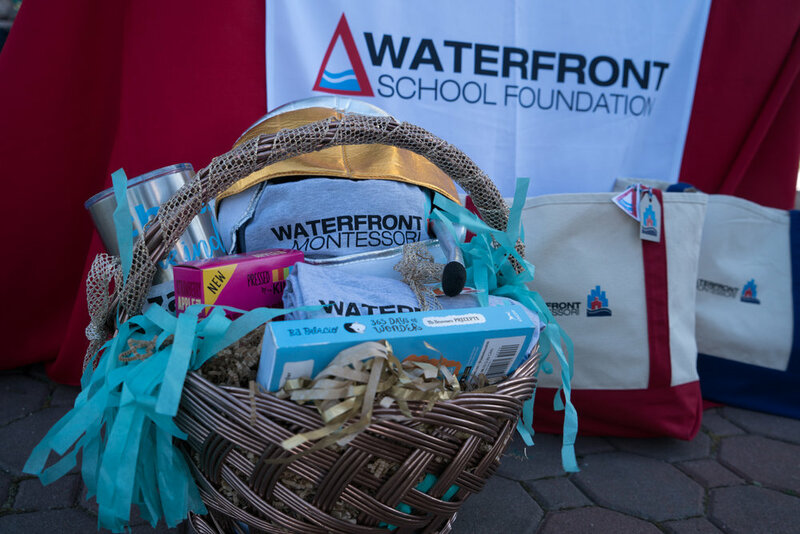 The Waterfront School Foundation held its Annual Members' Meeting on the evening of Thursday, January 25, 2018. A requirement per our by-laws, the meeting allows us to meet our members, share information about our past and future events as well as receive feedback. WSF Interim President, Ashley Faison, kicked off the meeting by asking our members to introduce themselves. She provided a brief history of our organization and presented our mission statement to the group. The presentation switched focus to each of the current Board positions. Each Board member discussed their tenure with the Foundation and their current role on the Board. Members were invited to ask any questions or clarification they have and are welcome to reach out to individual Board members for further clarification. With June elections approaching, we hope sharing details about the positions gives our members a clear picture of what they may expect. Following the description of the roles, we delved into what has been keeping us busy this past year. The Board met a few times over the summer to lay some of the framework for on-going operations and have a skeletal operational manual. 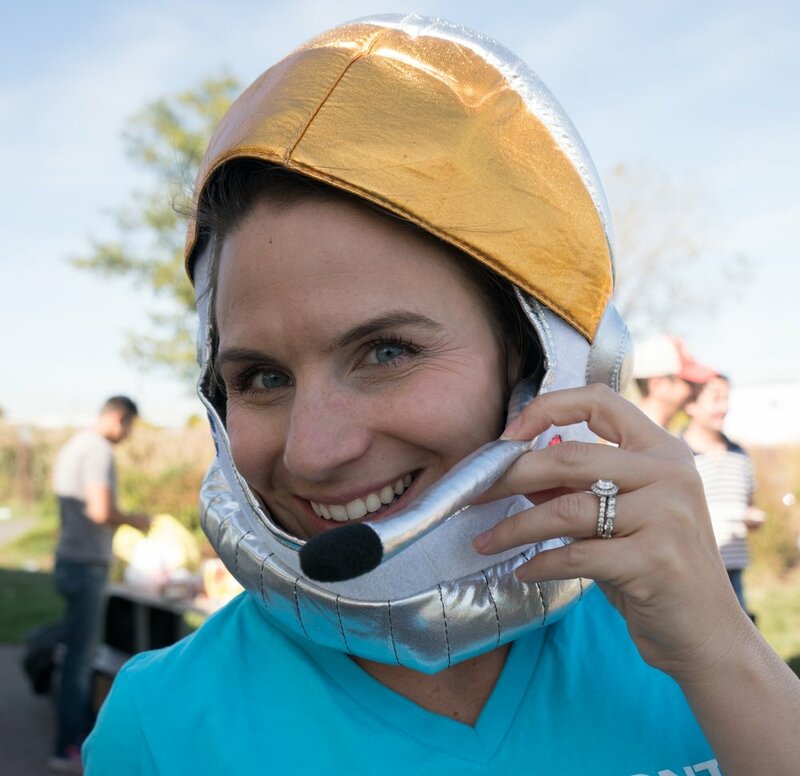 We defined our values (ARC - Approachable, Resourceful, Committed), acquired all our social media assets, created writing style guides, and much more. We reviewed our past events, most of which were successes and one that was not. We solicited feedback from our members about what events they would like to see more of and what works or doesn't work. 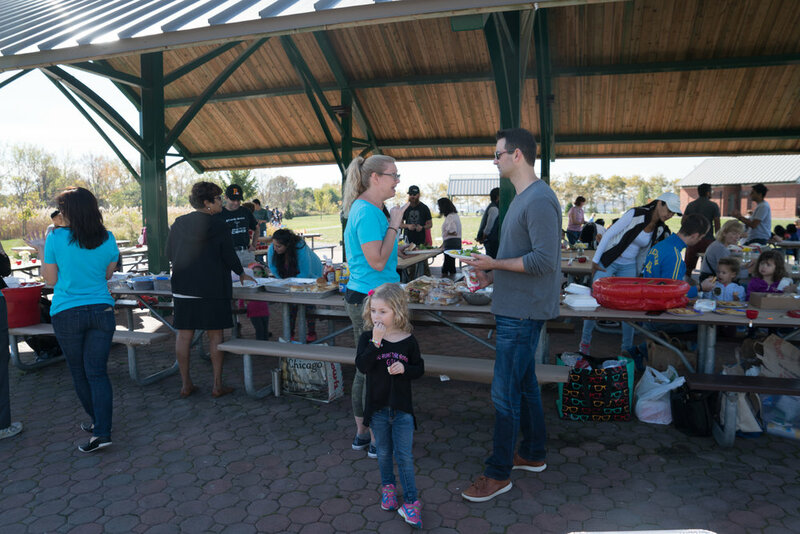 It was wonderful to hear positive feedback about the past events such as the Table at the Fall Welcome Breakfast and the Fall Family Fun Day. 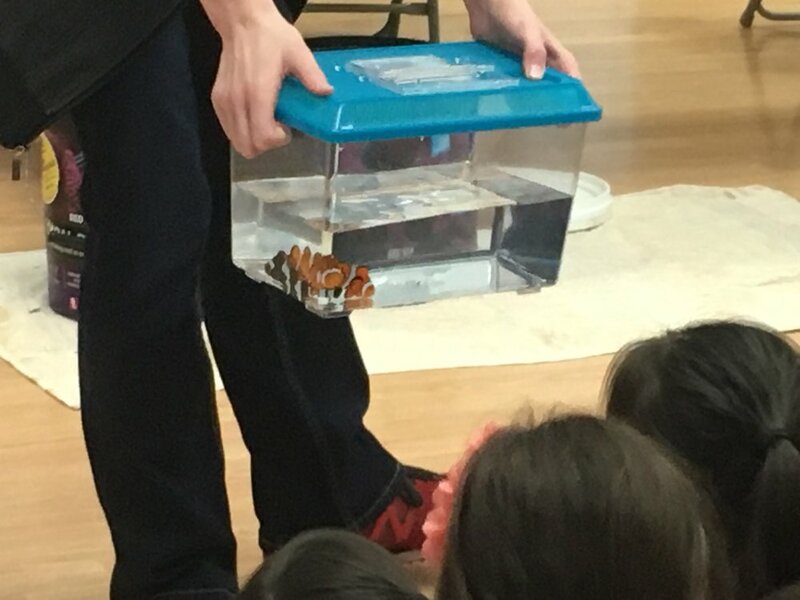 We spent time highlighting a few of our Spring events such as the Lower School Enrichment Event (Ocean conservation enrichment presentation), fundraiser for the scholarship program support (All Day Recess Fitness Event), and our Musical (Aladdin in Dual Language) fundraising efforts. We have a lot going on this Spring and would love to see you all at our events. Please find the meeting presentation attached below and do not hesitate to reach out to any of the Board members for further details or clarification. WFM Parent Coffee: What is the International Baccalaureate Program? Parents were invited by WFM to hear a presentation on our IB Middle School by Mr. Andrew, the IB Coordinator & IB Middle School Math teacher. To start, Mr. Andrew asked parents to write down three skills that they believe are necessary in order to have a successful and fulfilling personal and professional life. The answers were to be discussed later in the presentation. Mr. Andrew gave the history and background on the IB (International Baccalaureate) educational program. He provided some statistics on the prevalence of IB schools throughout the world (roughly 4500+ schools worldwide with 1.8+ million students). There are four types of IB programs based on age - WFM teaches the Middle Years Program (MYP) which is for children ages 11-16. It was interesting to note that if a child goes on to an IB high school, they will continue to be in an MYP through 10th grade (at which point they would transition into the Diploma Program). 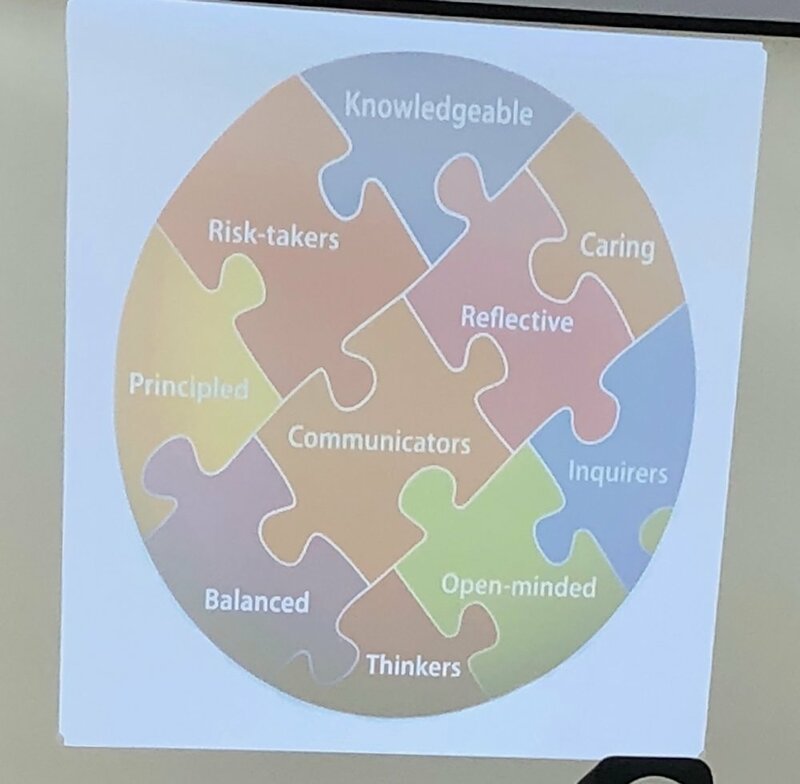 A portion of the presentation was spent discussing the profile of an IB learner (see photo below). 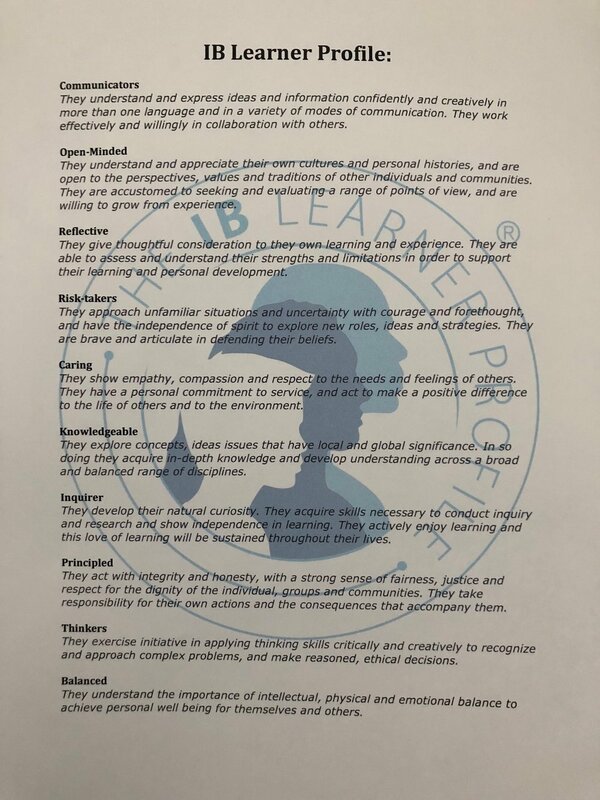 We noticed that many of the skills written down in our opening activity were evident in the traits developed by an IB program. Mr. Andrew described the ways in which IB is a natural fit for Montessori students. 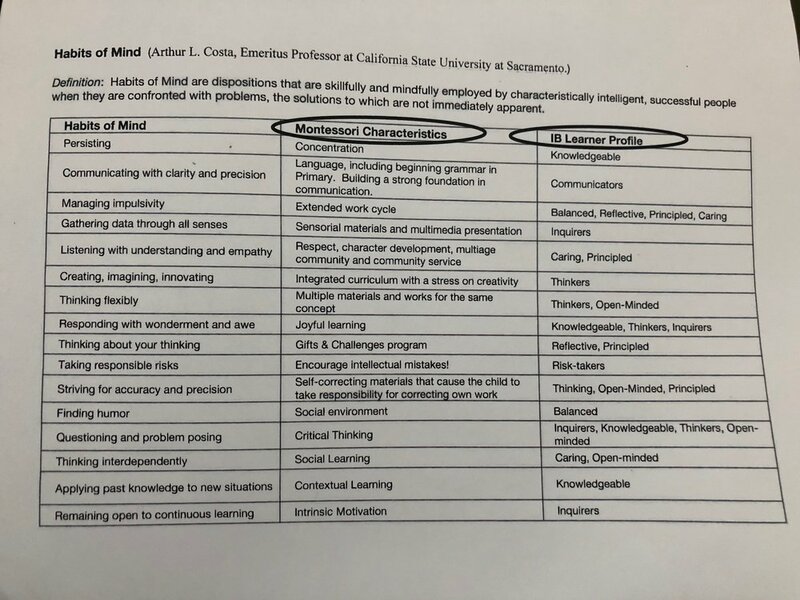 These learner profile traits of an IB student align with the characteristics of Montessori. There are 8 subject areas for the Middle Years Program. Much of the work is interdisciplinary, crossing multiple subject areas at once. "Science isn't just science and art isn't just art". Most projects aim to incorporate different areas. Service learning was also prioritized in this curriculum. At WFM, all Middle School students engage in some level of community service, such as reading to children at the York Street Project. In addition, all 8th grade students create a community action plan and 12 hours of commitment to their plan. A major takeaway from this talk was that PROCESS IS KEY! The focus on the process is what allows for growth and a joy of learning. In contrast to a traditional school where facts are memorized, the IB approach allows for the process to lead the way to the outcomes. Mr. Andrew gave various examples of the innovative ways the Middle Schoolers are learning. One example to highlight was learning in context. A group of students measured the length (in time) of choruses of popular songs. They created proportions of the chorus length to song length and then further went to see if there was a relationship between this ratio and the number of YouTube hits for each song. In addition, they created posters where the lyrics of the chorus took up the amount of space equivalent to its proportion of the song. The Middle School day ends at 4 p.m. to give extra time to complete work. After school time is for "pursuing passions" and not additional school work. How are Middle School students graded? Each of the 8 areas is rated by the teacher on a 1-8 scale. There is a formal rubric and the process may be the discussion at a future coffee talk. How do Middle School students adapt to traditional high schools? They're very adaptable. They may question rote work that they don't see the purpose in. How do Middle School students do on standardized tests? They do practice the skill of test-taking in Middle School. The students do very well on high school acceptance tests - there was an anecdotal discussion of high schools where alumni went on to. How many Middle School students are there? Mr. Andrew did a fantastic job of discussing the benefits of the IB curriculum at WFM. 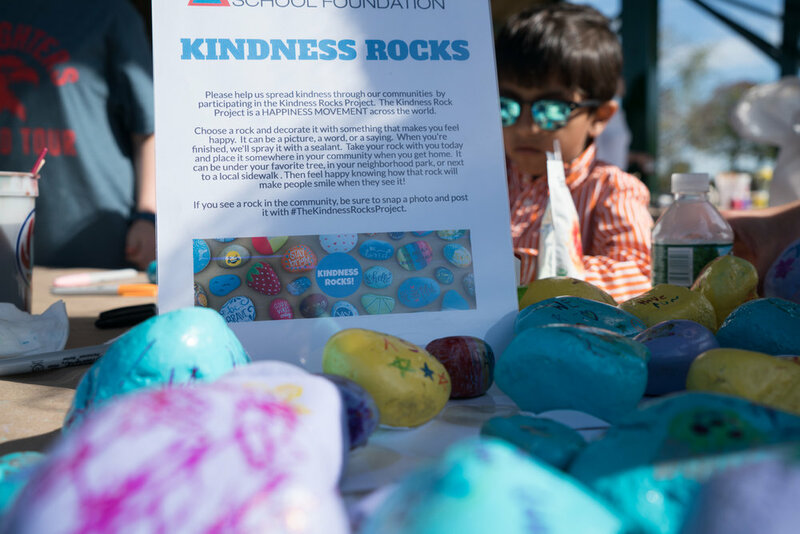 This initiative supports WSF's trifold mission to enhance the educational experience of WFM students, promote parental involvement and foster a relationship between WFM and the wider community. We didn't have to look far to find a worthy local community in need. 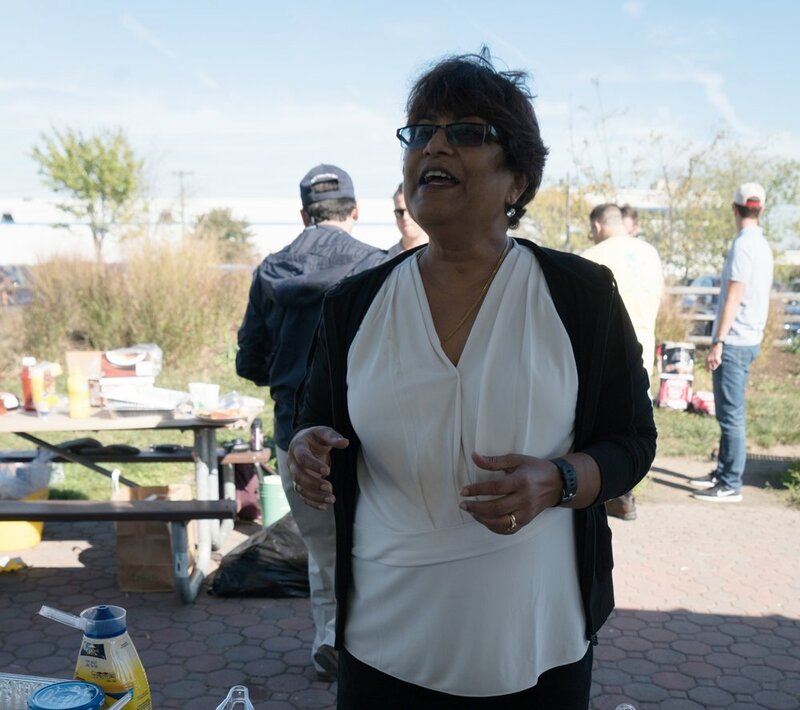 The York Street Project is a Jersey City institution that aims to help women with education, child care and housing - three key areas that impede them from achieving self-sufficient and fulfilling lives. The Nurturing Place is The York Street Project’s childhood development center for homeless and low-income infants and children whose mothers reside at or attend the high school at The York Street Project. 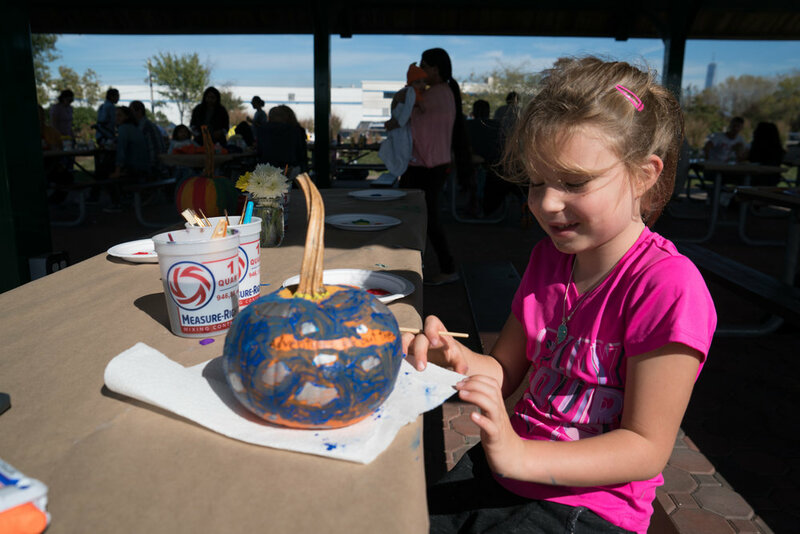 The Nurturing Place strives to restore self-esteem and address developmental delays in children who have experienced hunger and poverty. 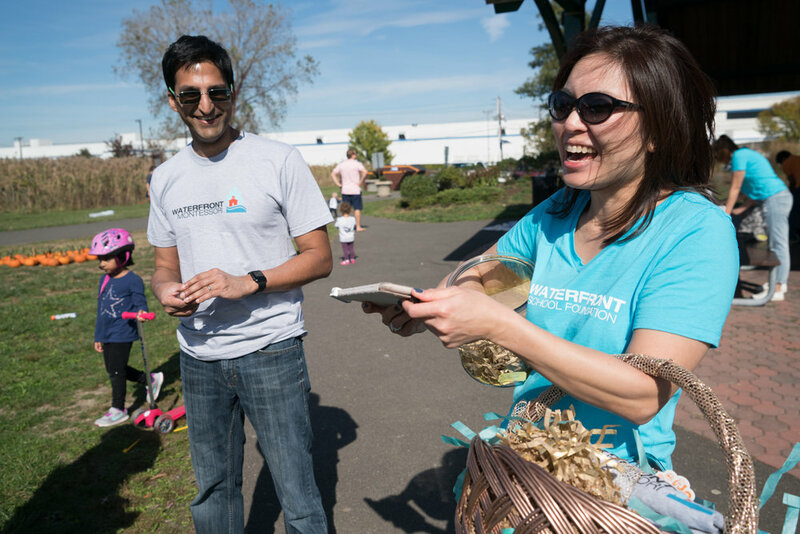 While our individual influence may be small, there is no doubt as to our community's collective impact. And this doesn't take into account the items that were donated online and shipped directly to The Nurturing Place. All your donations were delivered to The Nurturing Place and The York Street Project. They were overwhelmed and thankful for each and every item. Every one of your donations will make a difference to someone's life! Donations of diapers and baby wipes are much needed and appreciated as they are not covered by food stamps and we all know how those items are indispensable when taking care of young children. Every food item will be distributed to the children who live there, and more importantly, as a to-go bag for the children who live off the premises when they leave The Nurturing Place at the end of the day so that they have some food in hand for the night. In addition to the donation of supplies, the drive supports the community service component of the Middle School IB curriculum. Over the course of three morning visits, the Middle School ('MS') students personally delivered some of the donated items and thereafter, spent an hour with the young children (aged from 4 months to 6 years old) at The Nurturing Place. 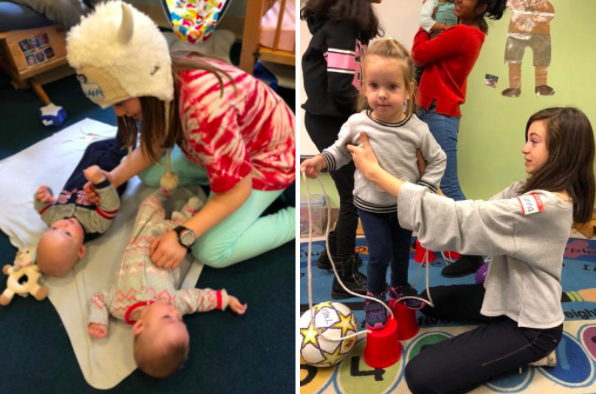 MS students read books, danced, played ‘dress up’, fed babies, made imprints of babies’ feet and basically, entertained the young children. At the end of the visit, those children didn't want the MS students to leave and seeing the fun the MS students had, it seemed like the feeling was mutual! The coordinator of The Nurturing Place was impressed with the enthusiasm of the MS students and was grateful for the time and attention that the MS students showered on the children. This initiative is truly a collaborative effort. A big thank you to the Middle School teachers and WFM’s Ms. Laura for their help with coordinating the students' visits, the Middle School students for their enthusiastic participation and also for designing the beautiful poster and flyer for WSF's use (our first student-designed poster! ), WFM's Mr. Craig for helping to transport the donated items to The York Street Project, and most of you, thank you to the parents for your generous donations - none of this would have been possible without you! On December 10th, WSF members came together and added a little "sweetness" to the holiday season with dozens and dozens of cookies to share. Hosted by our member extraordinaire, Rouba, we enjoyed a light lunch, sparkling beverages, and endless cookies, topped off with a chocolate fountain! Some of our delicious treasures included madeleines, rosettes, red velvet cookies, and green Grinch crinkles. This was such a fun opportunity to sit down, chat with, and enjoy the company of other parents, teachers, and school administrators. A special thank you to Rouba for opening her lovely home to us! The WFM Coffee on Tuesday, November 28th focused on showcasing a few presentations by Upper School students. Ms. Karen kicked off the coffee by stating that Waterfront Montessori is working on sharing some of the interesting things that kids are working on in school that parents may not be aware are ongoing. Often, kids do not consider their school work as "work". They just want to do it as they are excited by the work and find it interesting. The first presentation was by two Lower Elementary students who discovered a pattern while working on equivalent factions. 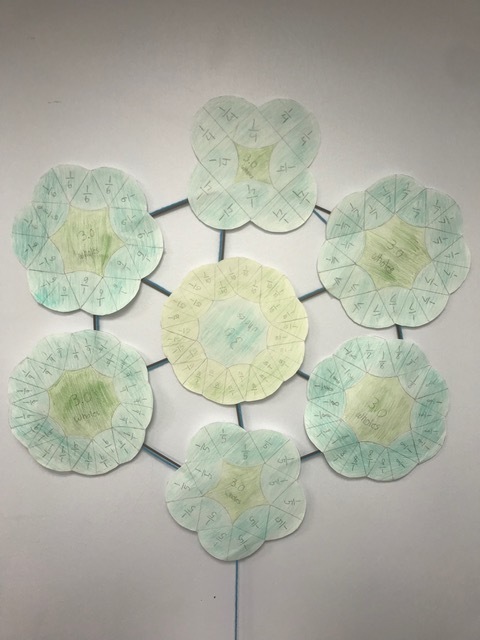 They created these patterns and found that it took 3 holes to make a design. The students were self motivated in this spontaneous activity of learning more. The remainder of the three presentations were by Middle School students. Middle Schoolers have "Fedex Days" where they are tasked with selecting a topic, researching it, creating a presentation with slides and finally presenting it to their class all within a 24 hour period. The students use a modified PechaKucha presentation style with only 15 slides instead of the normal 20. PechaKucha is a Japanese presentation style in which 20 slides are shown for 20 seconds each (6 minutes and 40 seconds in total). The format, which keeps presentations concise and fast-paced, powers multiple-speaker events. The presentations focused on topics that interested the students and motivated them to learn more about a subject or try to find an answer to a question. All students spoke very well with great poise and confidence. One student's presentation focused on finding the answer to the question whether or not a picture is worth a thousand words. She discussed how pictures are easier to memorize than words and tend to be more interesting. Words however tend to be more influential and are easier to remember in bunches. 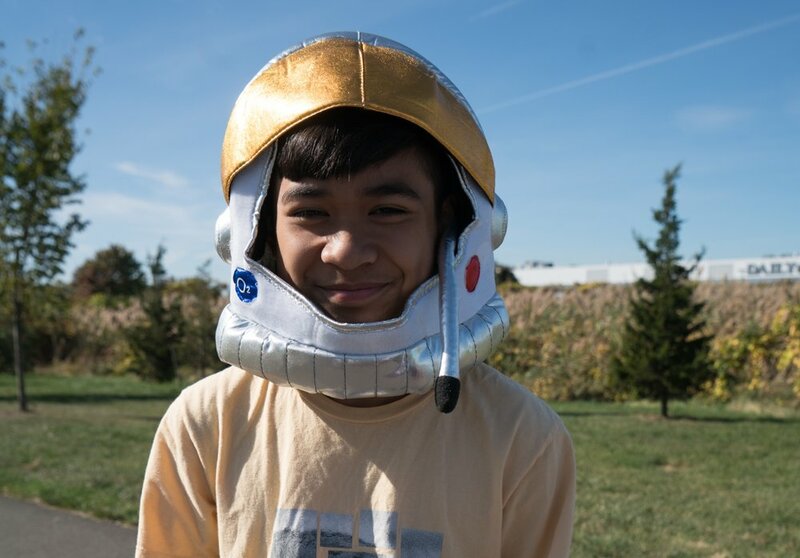 Driven by his admiration of Elon Musk, a student focused his presentation on learning about Mars, He learnt about the planet, the current efforts to get to Mars and discussed some next steps in space exploration. 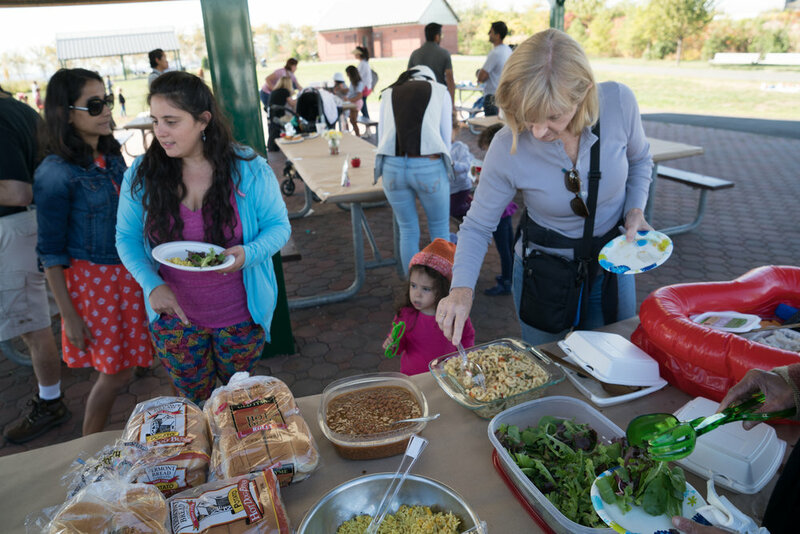 A student's love of cooking and her passion for food drove her to research into comfort foods. She discussed her favorite comfort foods from the various regions of the world. 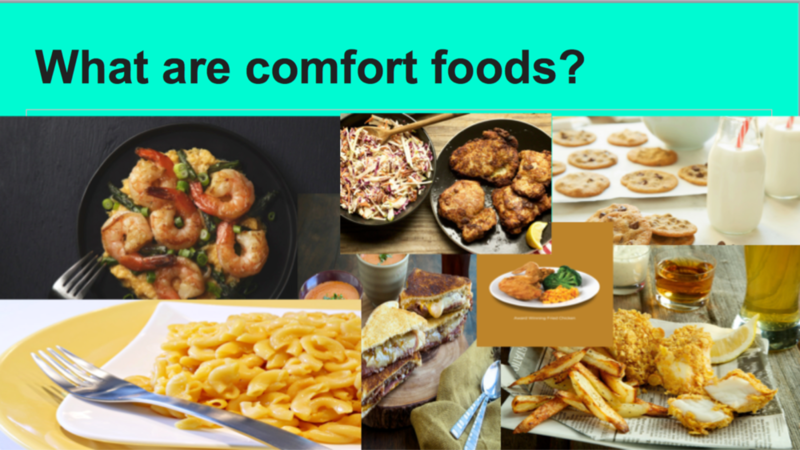 Additionally, she even conducted research in her classroom to see what her classmates comfort foods were. Presented by WFM Primary Lead Teacher Ms. Maria, the Parent Coffee on the morning of October 25th focused on ways to introduce Montessori practices and methods into our homes without recreating the school environment. 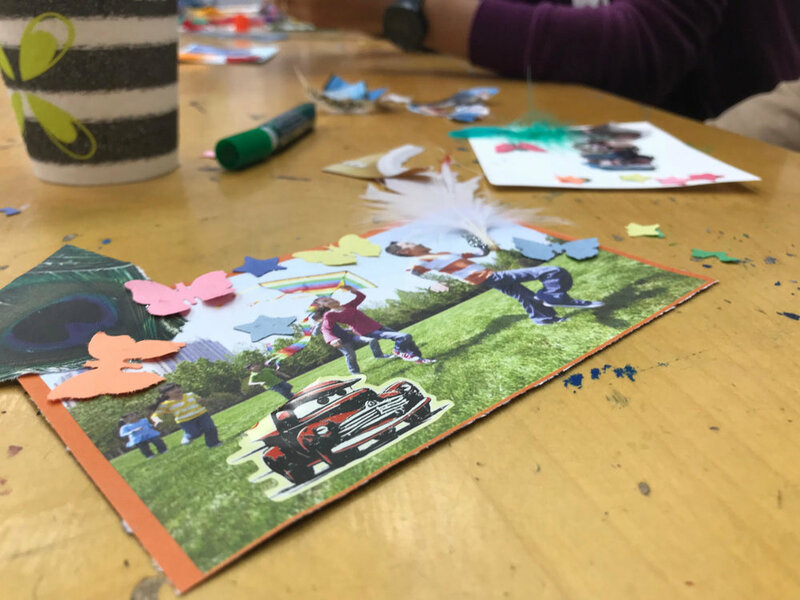 To kickoff the discussion, Ms. Maria asked the parents in the room to create a piece of art that represents one of their children. 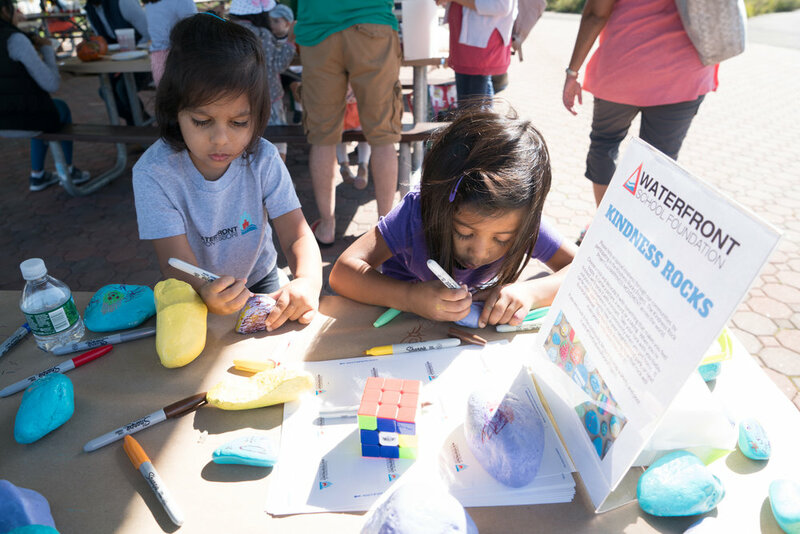 Parents were given various art materials such as felt paper, stickers, glitter glue, popsicle sticks, markers and crayons. When finished we held up our beautiful creations to share with the room. Ms. Maria pointed out that each were different, yet beautiful in their own way - just like each of our children. Ms. Maria explained that in the Montessori environment children are viewed as unique as well and that each child is able to chart their own path, if given the proper tools and guidance. Ms. Maria talked about the Montessori philosophy and principles, what they mean and how they manifest within a classroom environment. For example, independence is about letting a child do things by themselves even if it takes 20 tries. Another core philosophy of Montessori is respect. Respect not just for others but also for our surroundings and the environment. A child is taught to carry scissors slowly with care in a way that shows how to respect someone else’s space. She suggested various ways to introduce Montessori methods into our homes. But in order to have a successful Montessori Home environment, we have to prepare ourselves with patience and allow the child to make mistakes so they can figure it out. 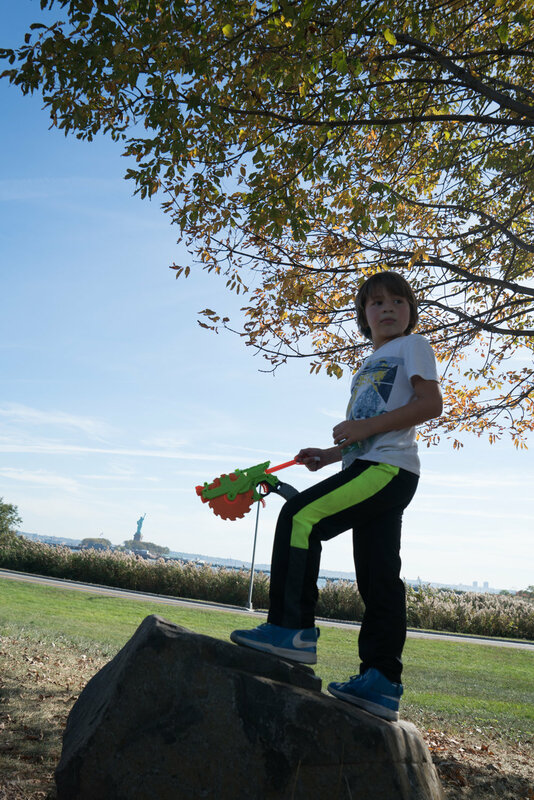 Making everything our children need easily accessible to them allows the child to be self-directed. Putting healthy snacks on a low pantry shelf and encouraging them to help themselves allows children to practice independence and make choices about the foods they eat. Having a place where everything goes helps create a sense of order in our homes so they know where to find and put things. 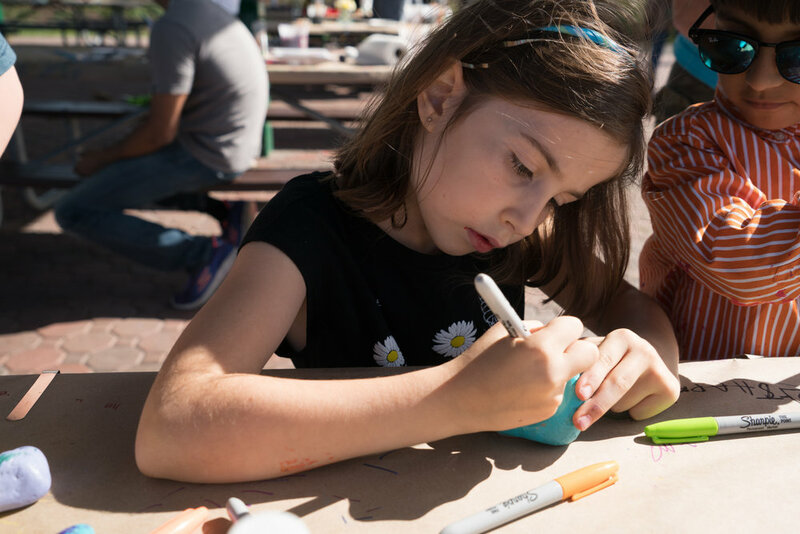 Ms. Maria suggested that replacing plastic with beautiful glass, chinaware or ceramics teaches children to appreciate beauty and allows them practice handling delicate things. It could mean they break a few things along the way, but they will eventually learn how to sweep up a mess and also the correct ways to carry different materials. 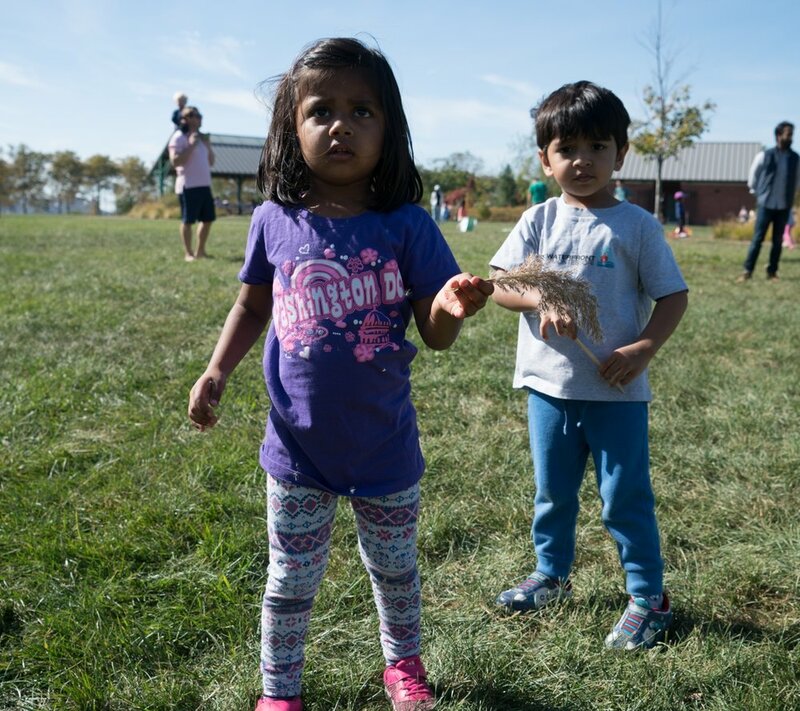 Being in nature allows children to experience the beauty of nature and real things. 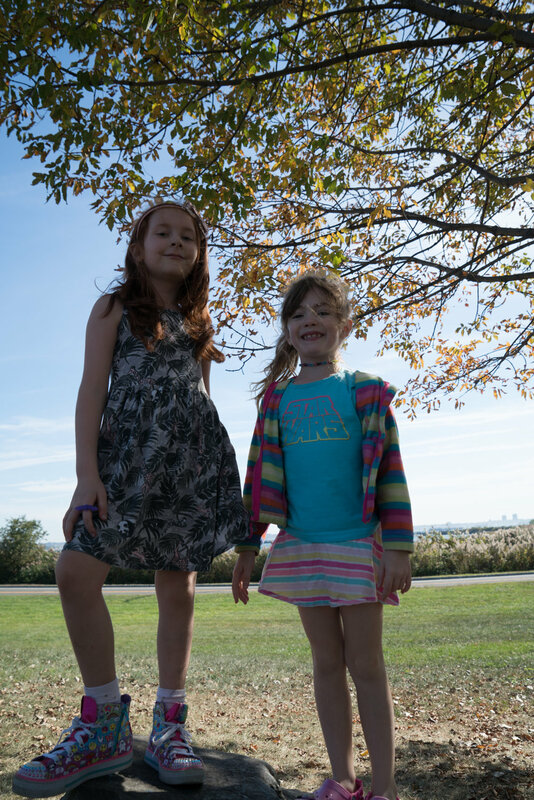 Going for a walk with a magnifying glass not only promotes language skills but also interest in their environment. Think of different things to do such as collect bugs and look at them. 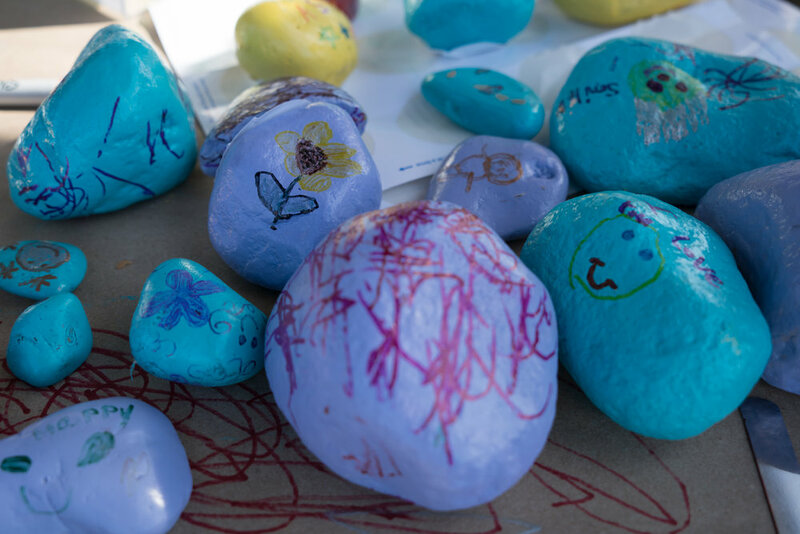 Collect stones, count them, order them and paint them. Sometimes rocks in the pocket can be a good thing. We have to think about how we can provide our children with uninterrupted work time. This is the time when our children develop skills, learn how to focus, practice and gain mastery over their tasks. When we interrupt someone’s work, we stop their concentration and put a pause on their interest in that task. You model how you would like them to carry water step by step. Sometimes they may figure out a different way to do something that is as efficient. 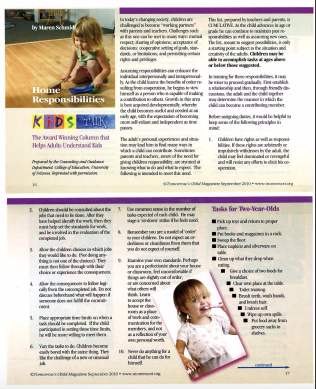 Let the child get involved in chores at home such as setting the table, laundry, dishwasher. Include chores directly related to their strengths. Create a job chart and have them take charge. You want to hear them say ‘I did it!’. Follow your child to find what he is interested in and design the environment to promote that interest. If a child is interested in insects but not in reading, maybe a book on insects might motivate that child to read. Or if a child likes animals but not washing, maybe washing animals might be interesting to that child. The Parent Coffee was very engaging and allowed this writer to come away with a better understanding of how to apply Montessori principles in our homes and everyday life without turning the home environment into a classroom. Thank you to the school for organizing and Ms. Maria for sharing her ideas and facilitating this fabulous discussion. 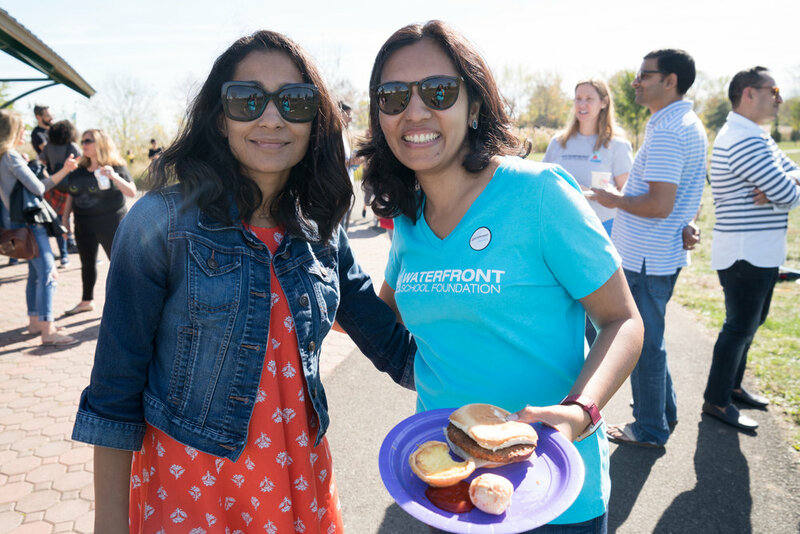 Mother nature pulled out all the stops to provide a perfect day to celebrate this amazing Waterfront Montessori community! 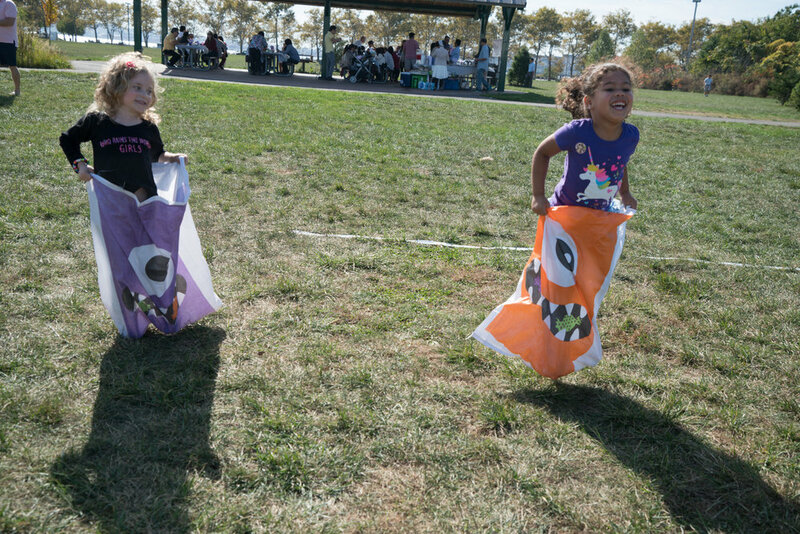 The 3rd annual WSF Fall Family Fun Day took place on Sunday, October 22nd in Liberty State Park’s Freedom Pavilion. 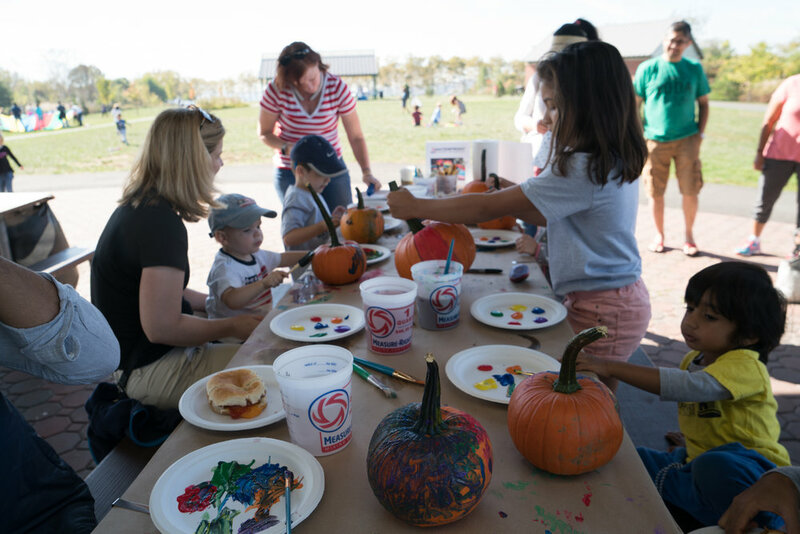 Forty-eight WFM families came together to eat, drink, and play! 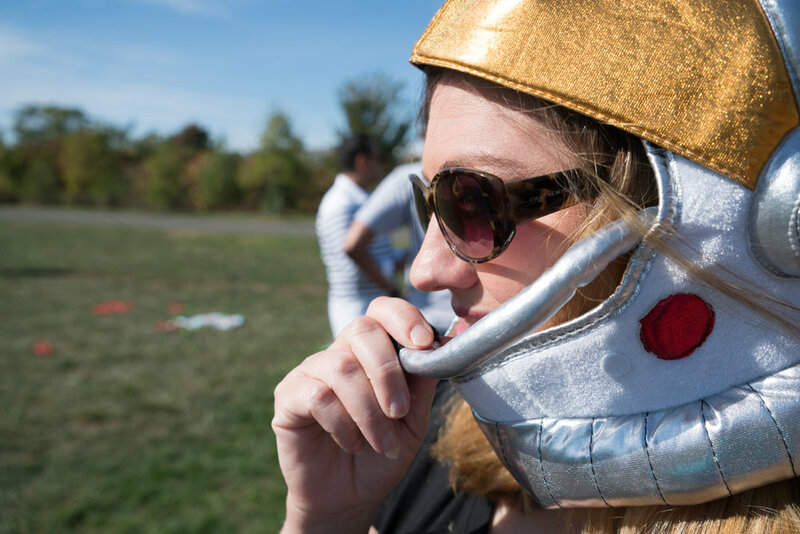 The amazing Mary Beth, led the activities committee, which provided fun for children of all ages. 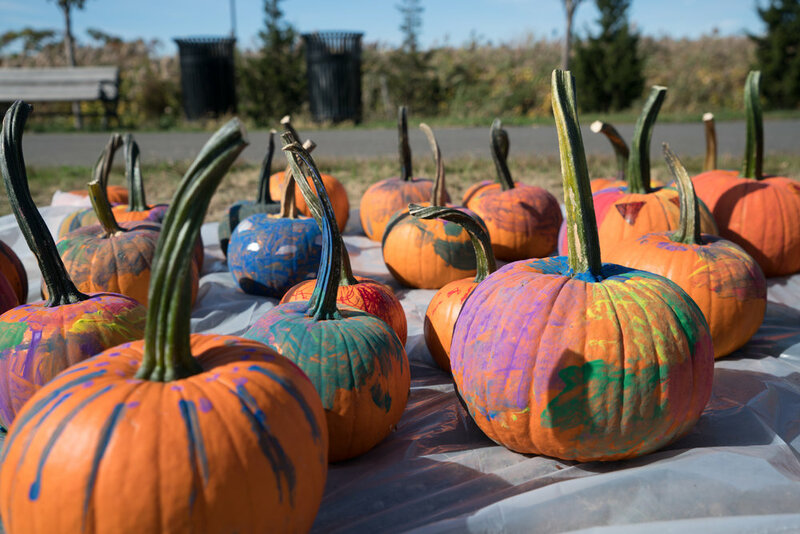 The younger children painted pumpkins and kindness rocks (http://thekindnessrocksproject.com/), and did some ‘retro’ potato sack racing. 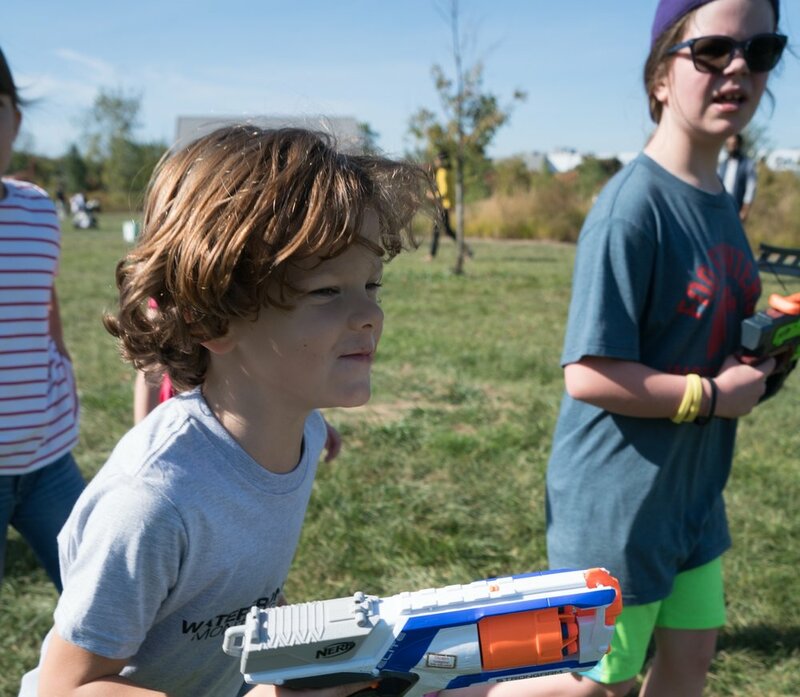 The older kids were very dedicated to the Nerf gun activity - at least until the ammo ran out! The children were overjoyed to take part in various athletic games and activities run by WFM's Coach Z, also from WOW Sports. A big thank you to Mary Beth and Coach Z, and all of the individual volunteers, who created and ran children’s activities. 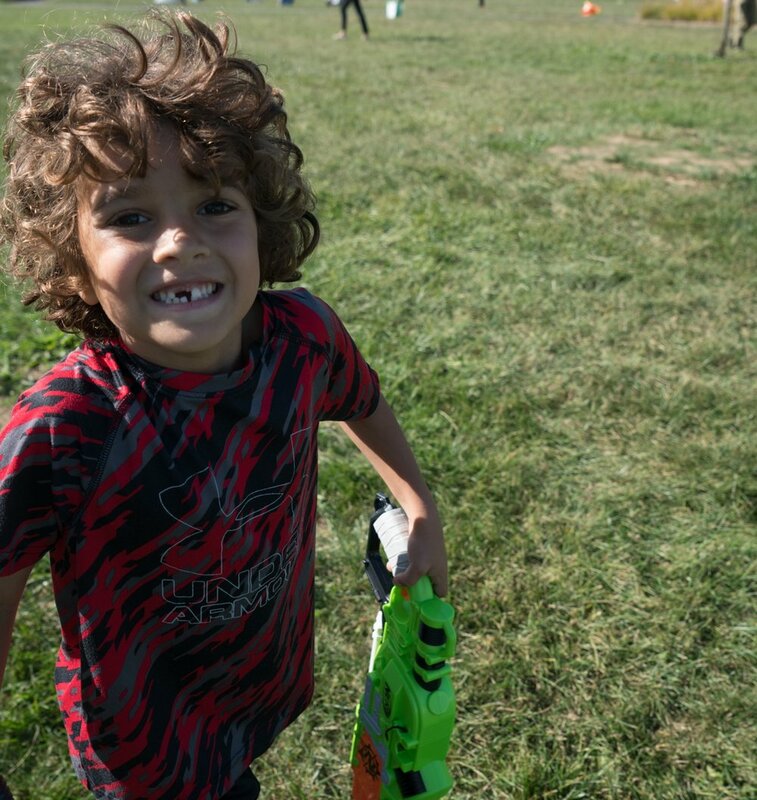 As parents, we thank you all for the smiles on our children’s faces! This beautiful spot also provided a great opportunity to engage in some urban grilling. A big shout out to Fahima for spearheading food and beverage. Fahima and Craig - thank you for all of your hard work! 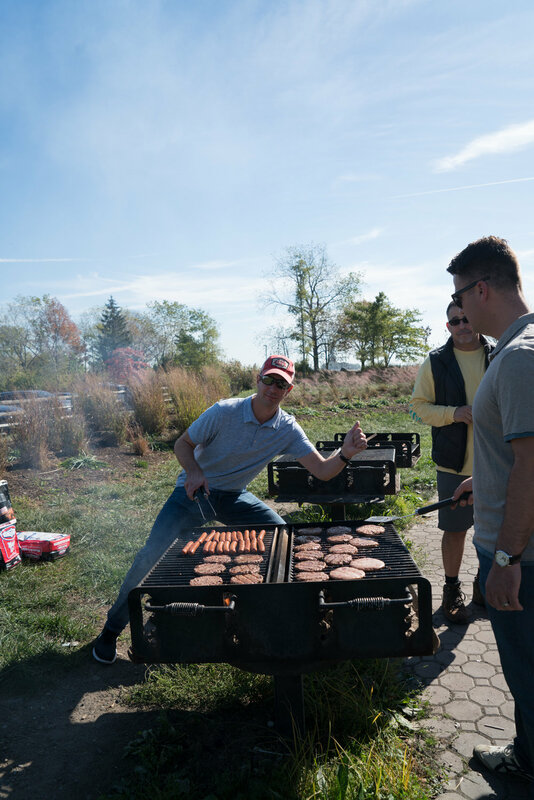 We hope everyone enjoyed a burger, dog, or potluck sampling. 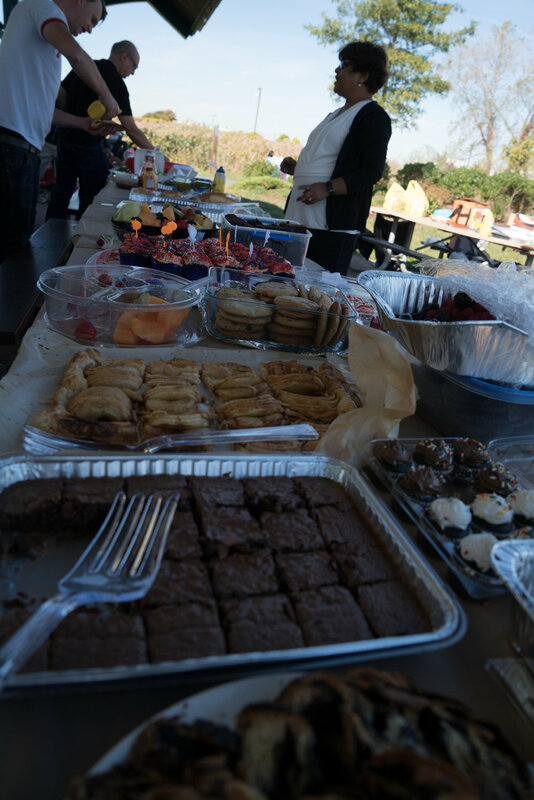 We are so lucky to have a dined on a wide variety of international foods brought by families. 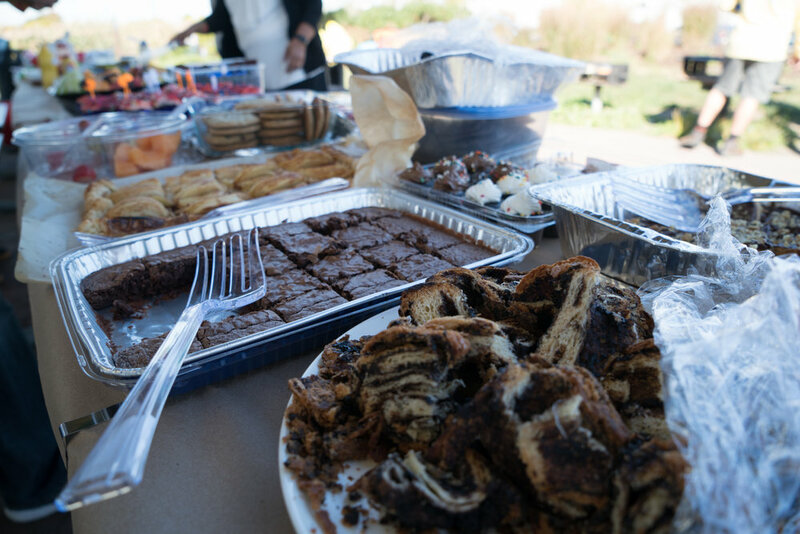 Thank you to everyone who participated in the potluck. Last, but certainly not least, we were pleased to announce our raffle basket winner. 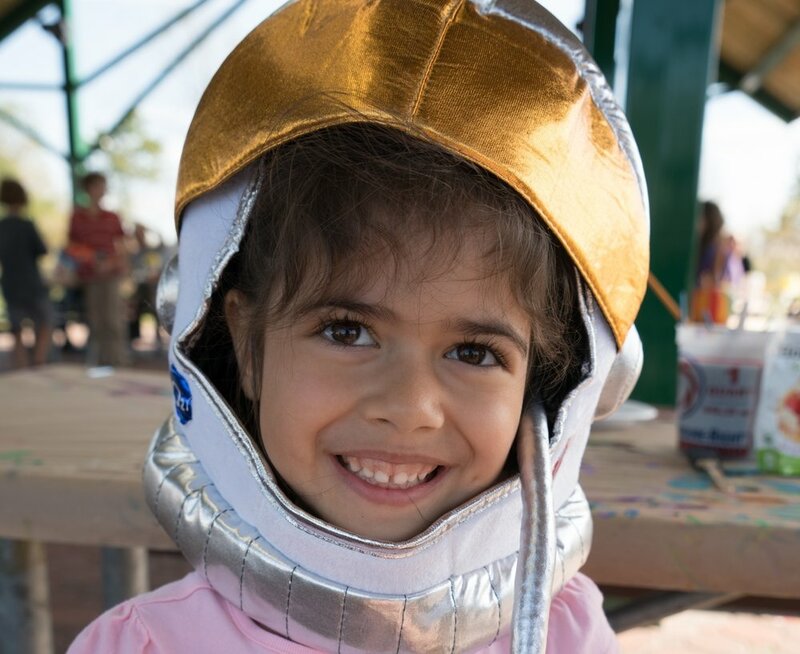 The KINDa Awesome chance basket, which included Auggie & Me (follow up book to Wonder), 365 Days of Wonder (a kindness quote book), Kind bars, a "Choose Kind" coffee tumbler, a WFM shirt, and the much modeled and coveted Astronaut Helmet, was won by the very kind WFM parent, Soni and her daughter. Congratulations Soni!! Thank you to all of the WFM families for making this a truly special day! On November 6th, WSF hosted a BollyHIIT PNO (Parents' Night Out) event featuring Shehnaaz Dance Academy. 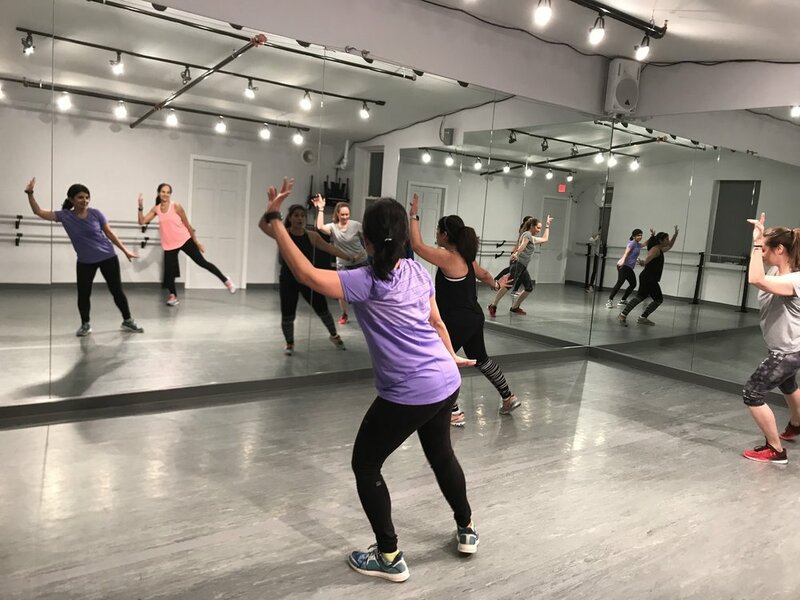 Shehnaaz generously donated her time to hold two Bollywood Dance (HIIT) High Intensity Interval Training Workout sessions for our WSF parents and staff. All funds raised will be directed towards Lower School Education Events. Beginning with a warmup, the workout session featured foot tapping Bollywood Dance numbers set to moves designed to get your heart rate up and the blood flowing. The Bollywood flair brought the fun factor. Each song had a different target area like thighs, arms, hips, etc. Shehnaaz provided belly dancing skirts to up the ante for the the abs song and taught us a few basic belly dancing moves. The evening ended with practicing a minute or so of choreography for a hit Bollywood song. Everyone left the event feeling energized and like they worked hard. We hope you will join us for our next PNO! In an effort to bring our parent community together, WSF hosted our first book club event on Oct. 3rd. 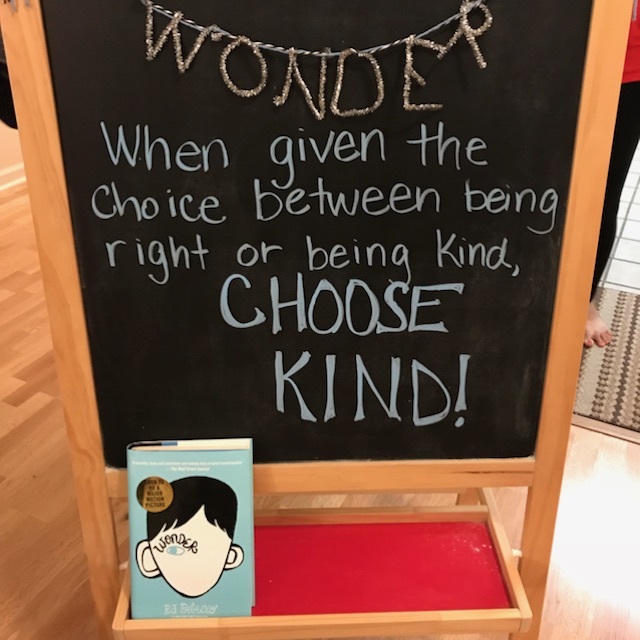 During a summer planning session, one board member mentioned her son reading the book Wonder by R.J. Palacio and described its role in the Choose Kind movement. That message of kindness resonated and we decided to choose Wonder as our inaugural book. 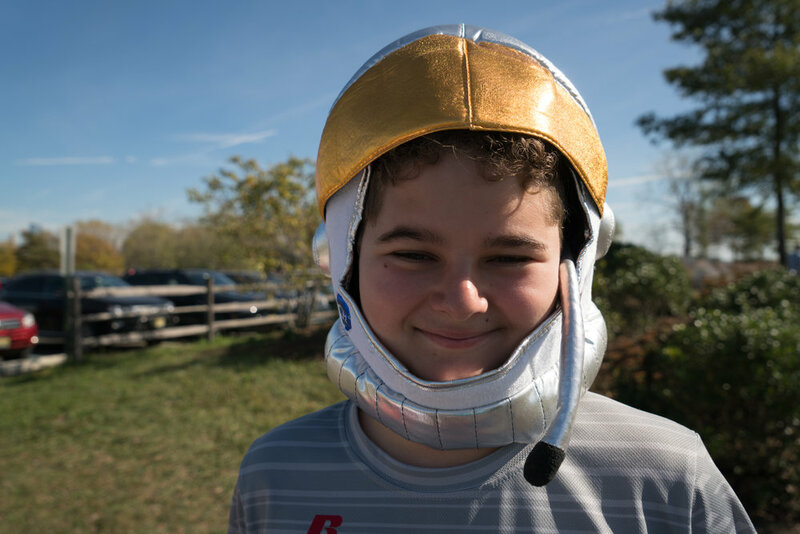 Wonder tells the story of Auggie, a 5th grade boy with a severe facial deformity who transitions from being homeschooled to attending a local middle school where many of the children are unkind to him. Each chapter is told from various perspectives including Auggie, his sister, his best friend, giving multiple viewpoints of Auggie's struggles. Our group comprised of a mix of parents and parent/teachers. The conversation revolved around parenting practices as they relate to bullying and building empathy in our children. We discussed the ways in which we have encountered bullying with our children and how we worked through those situations. Additionally, we shared ideas on how we promote empathy and kindness in our children. We look forward to continuing our theme of "Kindness" throughout the year. Our conversation was so lively that we forgot to capture a photo before some of the attendees left! This was the portion of the group still around. Brought to you by the WSF-PR WIRE. 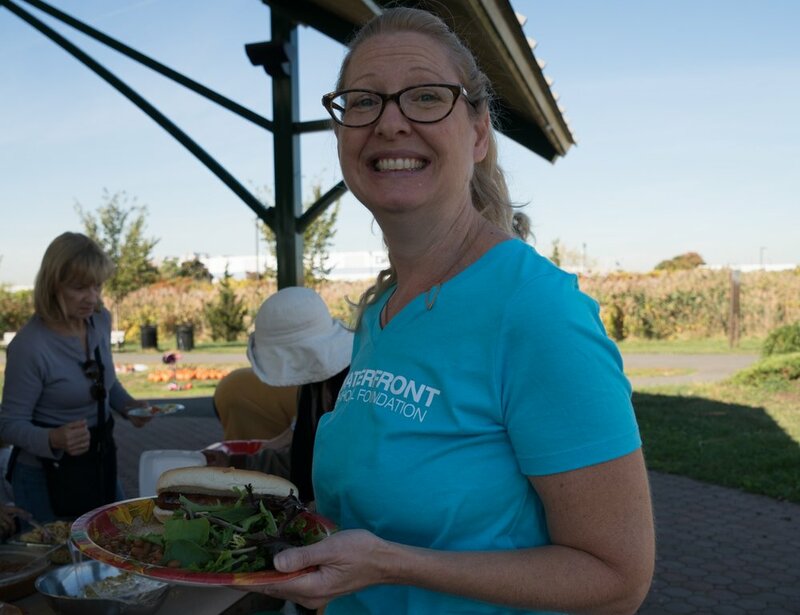 The Waterfront School Foundation Parent Report Wire provides summaries of parent attended school events such as Parent Coffees and Curriculum Nights. The intention of the WIRE is to provide information to parents that may not have been able to attend the event in person. This week's Parent Coffee morning (9/28/17), hosted by Waterfront Montessori, was an introduction to the Kindergarten curriculum. Led by the Primary Coordinator and a Primary 3 teacher the coffee discussed the goals and focus of the curriculum. The Kinder work is meant to emphasize teamwork, perseverance as well as encourage new ideas when thinking about problems and solutions. 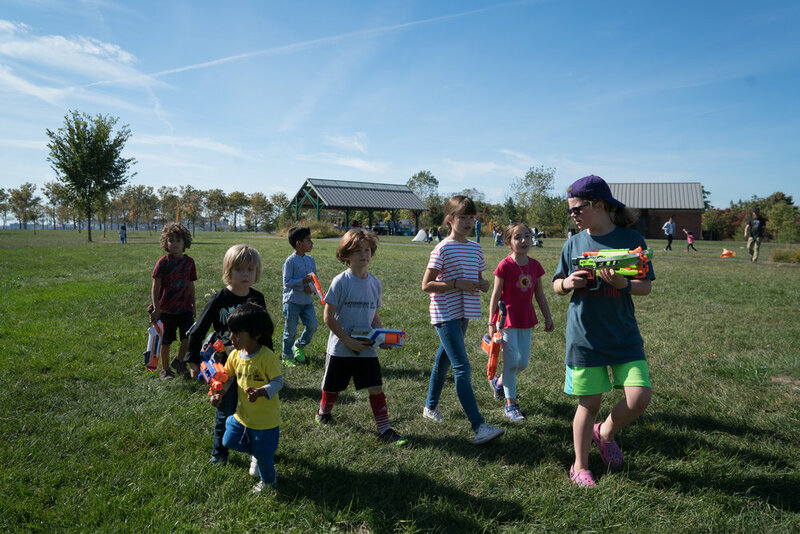 Kinders from all Primary classes (1-3) come together three times a week to work together under the direction of various teachers from the Primary classrooms. The students are split into small groups to tackle problems and explore solutions guided by teachers. Each Monday the Kinders attend Music Appreciation to learn about different musical composers and genres. Mondays also offer the popular Coding class where students are currently honing their directional skill to work with Cubetto the robot in the near future. 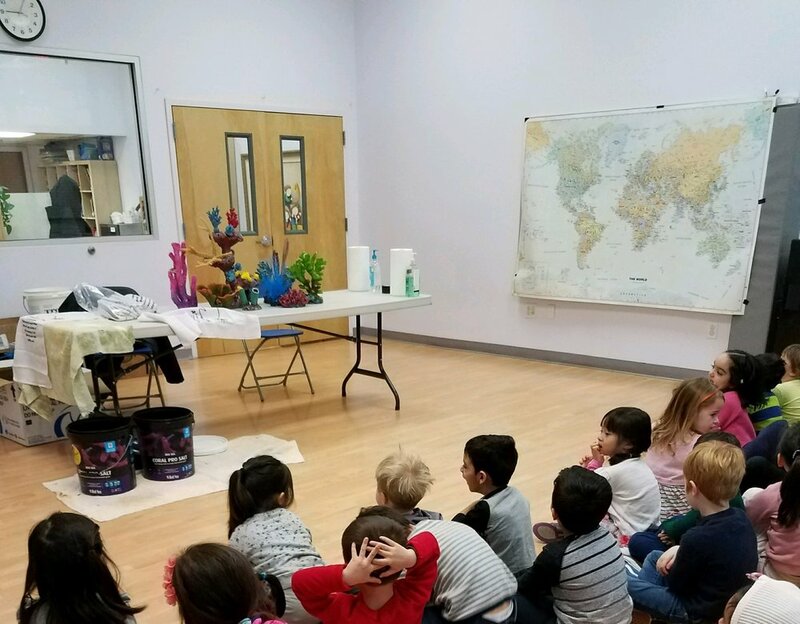 A demo was given and the teacher asked the parents to help give the commands to move the robot from one location to another. We learned about loops and functions and realized how important it is for our children to be comfortable with directions (North, South, East, West, and even Left and Right!). 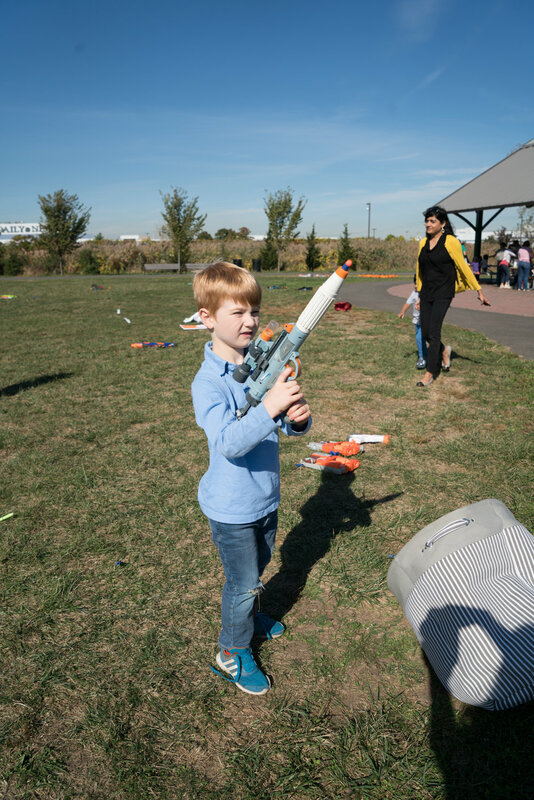 Tuesday focuses on STEM (Science, Technology, Engineering and Mathematics) The STEM lessons are hands on, and parents had the chance to experience it in the work session. 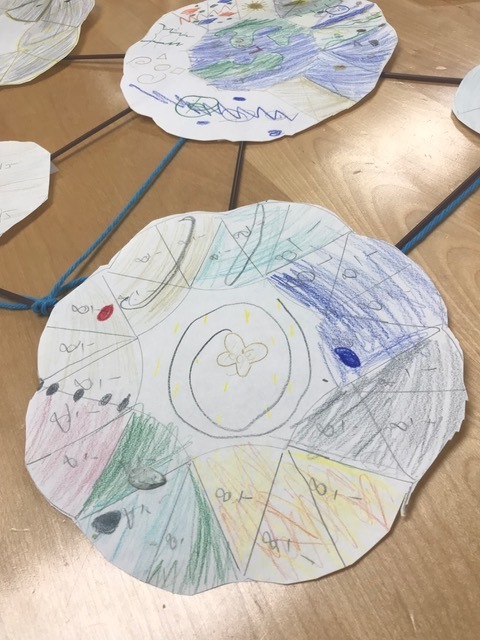 Parents were asked to complete the same lesson that the Kinders did this week which was creating a sail boat using paper plates, straws, craft sticks, masking tape, parchment paper, and scissors. Preceding each activity, the teachers lead the students in an open ended discussion about the subject matter, in this case it was talking about different types of boats and exploring their knowledge of them. The parents got to work in small groups and had the opportunity to test their designs in a small tub of water to ensure they float. The designs were creative and I am happy to report that all creations floated! 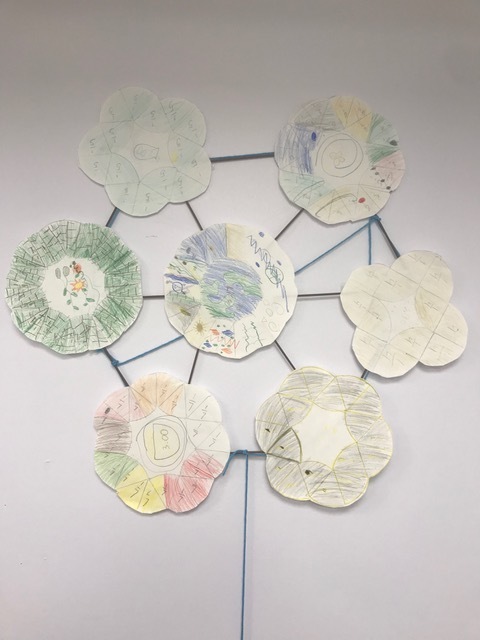 The teacher emphasized that when the students' creation does not succeed, they are encouraged to explore what happened and figure out the issues in their designs with leading questions from the teacher as necessary. The team goes back motivated to succeed and attempts again with a new or modified design. Upon success, the students are given the next step, a challenge to the problem to continue their learning experience. Wednesdays tend to be focused on Writing. The writing curriculum is based on the Empowering Writers series which has been adapted for a Montessori Classroom. 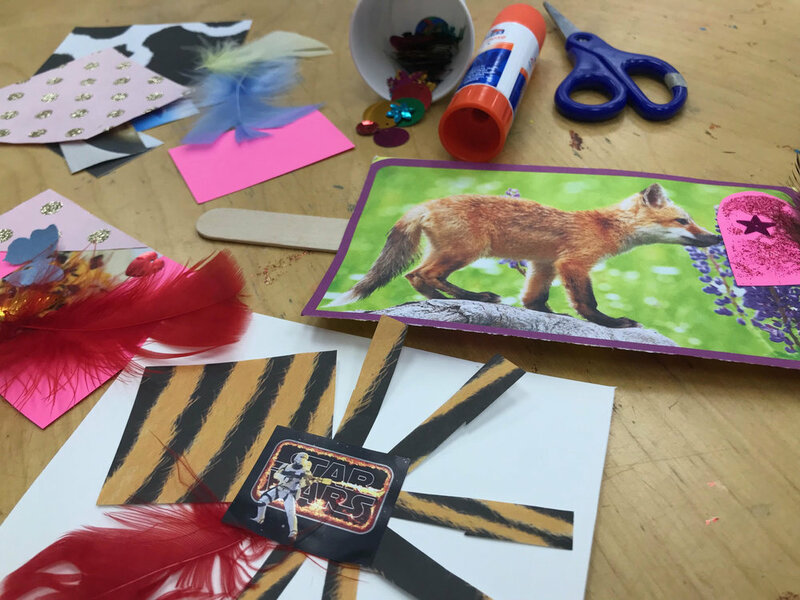 Thus, the class uses hands on activities such as cutting and pasting in addition to discussion and group work to keep the kids engaged. Furthermore, the class scales things to each child's level to ensure they are gaining the proper understanding of the material. The class has kicked off with discussion of the different genres of books such as Narrative and Expository works. Future topics include learning about the author's purpose, sequence of events, characters, problems and solutions, etc. In conclusion, the Kinder curriculum intends to create self-directed, independent students and fosters their desire to learn. 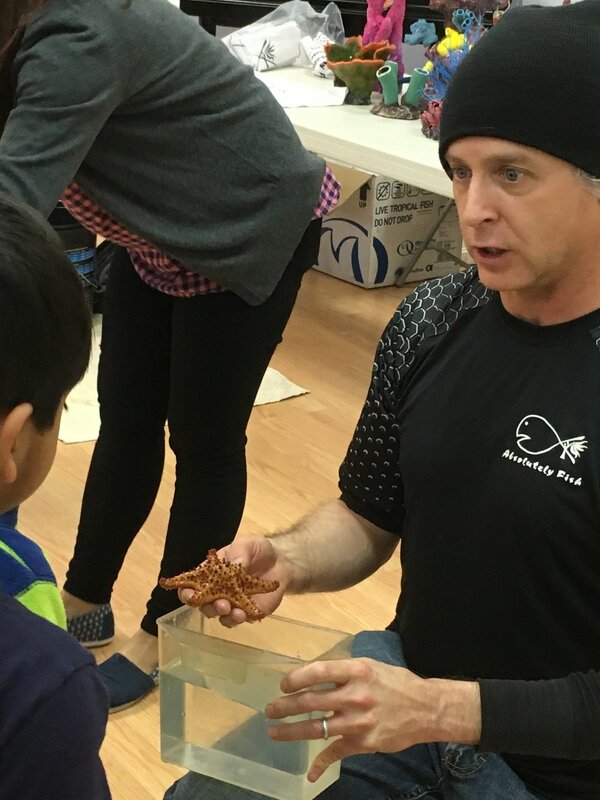 Waterfront Montessori encourages all Kinder parents to observe a Kinder class in action. As mentioned in this week's FLOW, WFM invites parents to tour WFM’s Upper Campus and observe in a Lower Elementary Classroom. 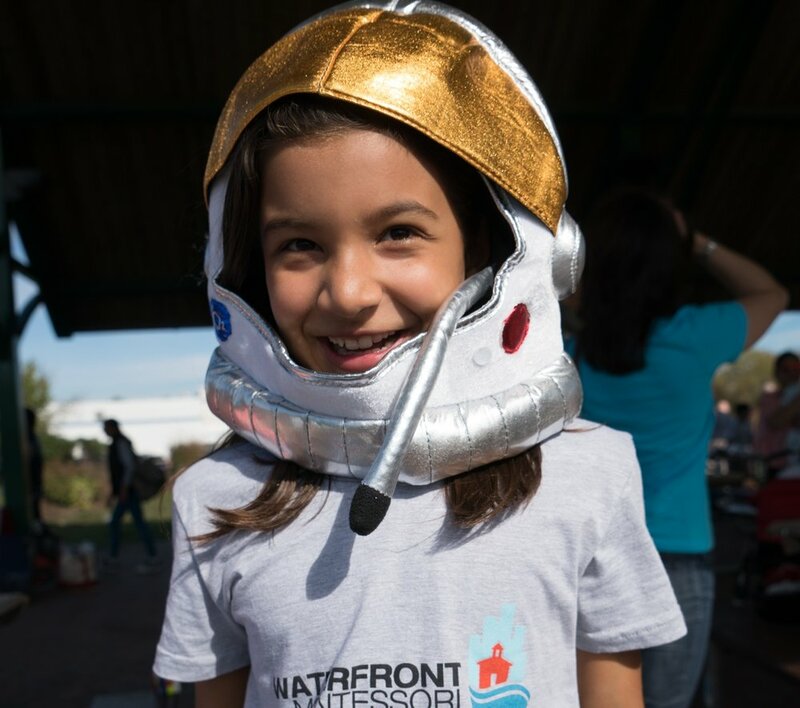 Contact Chris Viteznik at (201) 333-5600 x103 or chris@waterfrontmontessori.com to set up a time to visit.